If you plan on having the finest fiesta in town, then you need to look that part! That means you need a fun hat, a pair of sunglasses and maybe some solid facial hair (nothing says that you’re here to party like a sweet handlebar mustache). How are you going to get all those things together? That’s easy! 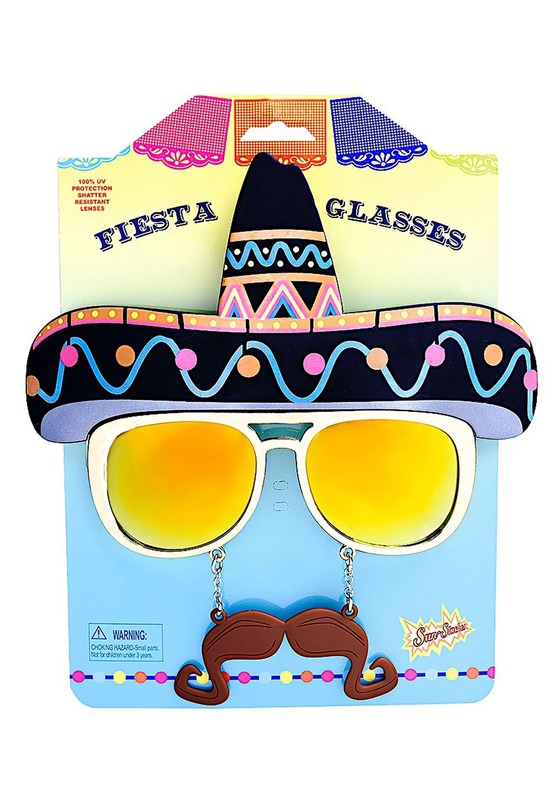 Just use this Sombrero Glasses set. This handy little accessory has a fancy hat, some shades, and a wicked mustache to help you look your best when you head to, or host, your next big fiesta.